After thoroughly enjoying the Junior Falls, we thought we could enjoy the Agaya Gangai Falls as well and very curiously drove towards it. 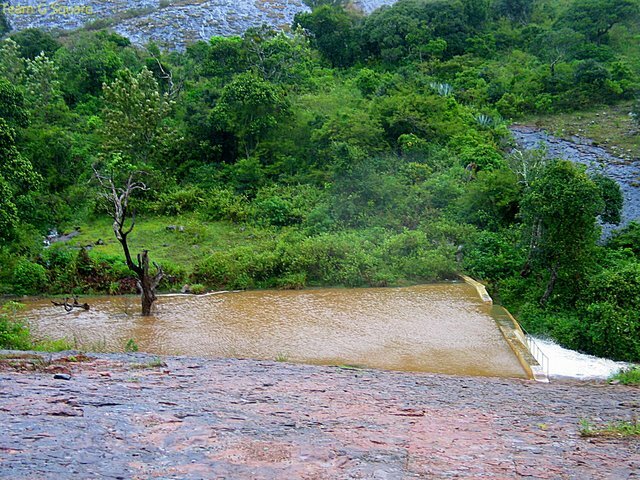 Unfortunately, on reaching this place, we were informed that due to the heavy rains in the past few days, the entry to this waterfall was strictly prohibited. There was absolutely nothing we could do to even have a glimpse of it as we had to walk down to reach the falls from the ticket counter. The gates were locked and the guard made sure his order was strictly followed. We tried hard to gather details of an alternate route to the same but in vain. 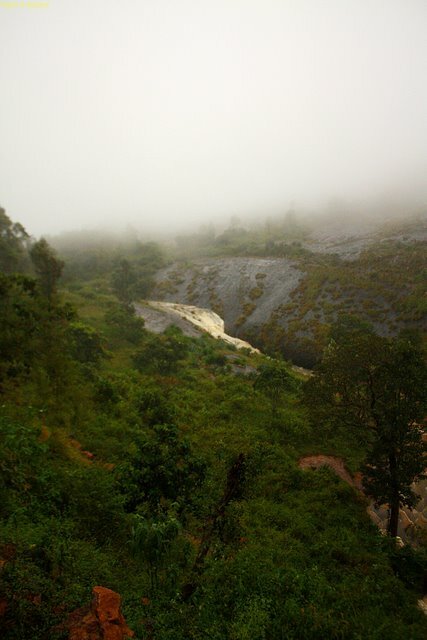 We also inquired about another known falls, the name of which we were fully aware as Masai Waterfalls, but the guard again gave us the bad news that it had also been closed due to the bad weather conditions. We were very disappointed that we missed the chance of witnessing these magnificent falls after making it this far. Wasting no further time, we visited the main temple of Arapaleswarar (dedicated to Lord Shiva) and then on, we continued towards our final destination of Aruppukottai near Madurai. While returning from Agaya Gangai falls, we decided to drive through the longer route. After traveling a few kilometers, far away we spotted another waterfall. We had an amazing view of the deep valley and the cascading waterfalls. Identifying its name (if it had any) was a very difficult task for us! 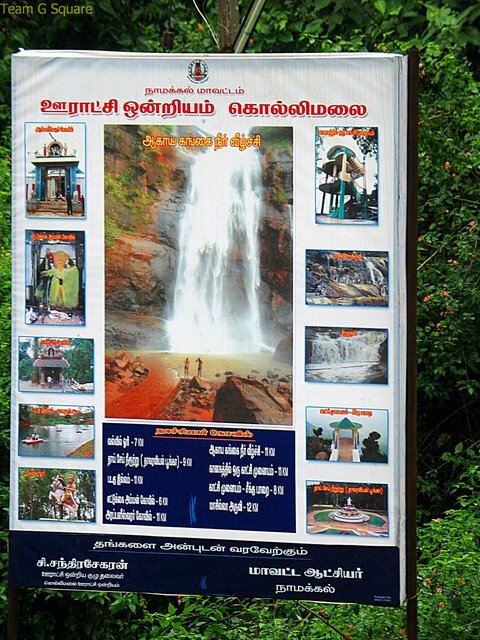 We went on to name it Kollimalai Falls. After enjoying this view, we drove further only to find out that the this falls came under the known category and probably has an identity since provision was made for bathing under the falls. Driving further, we found a small temple by the road side and stopped for offering prayers. On getting closer we found another monsoon waterfall close by. After clicking a few pictures, we moved on. I do love waterfalls and I can understand your being disappointed at not being able to see the ones that you had hoped to visit. But you did find a beautiful one and your captures are fantastic as always! And such a lovely, colorful temple!! Thanks for sharing the beauty! Hope you have a great week! hope you do get a chance to visit the falls next time! It's too bad you weren't able to see the main waterfall you wanted to see, but the ones you did see were wonderful. The entire area is very beautiful and lush. To see that colorful temple is very interesting. The lush green and valley are fantastic! This place has lots to offer. Nice captures. Such beautiful places! 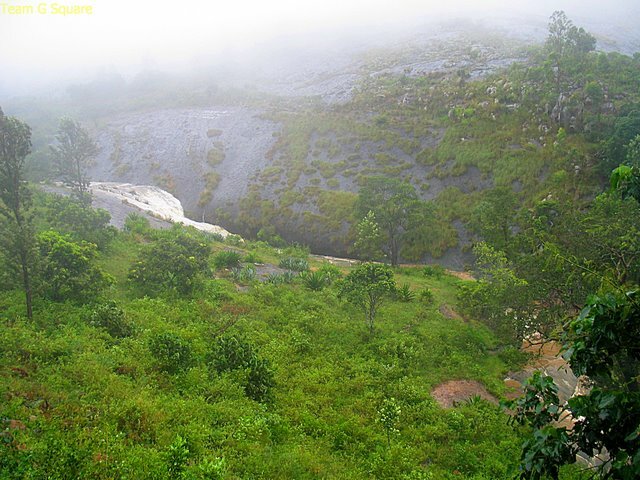 Amazing captures, hope you can make it to the agaya falls also sometime soon. Another beautiful series! Love the views from above. Nice story but where is the front view? Thanks for visiting my blog. And this is as serendipitous as it can get. 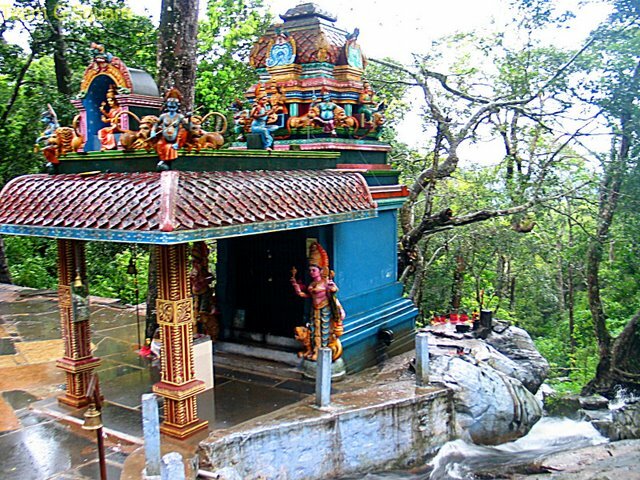 I was doing a bit research about Kolli hills for a writing assignment and lo there it was. Its a nice place ..but most of the people create a news like ..its a place of ghost and all ...have you heard anything about that ?? 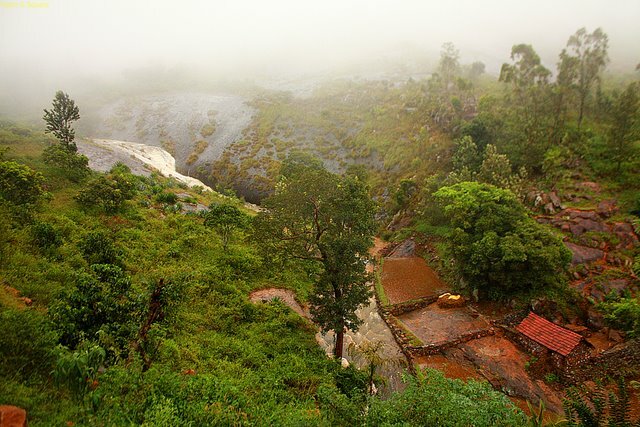 Breathtakingly beautiful pics of Kollimalai in monsoon. Great set of pictures! 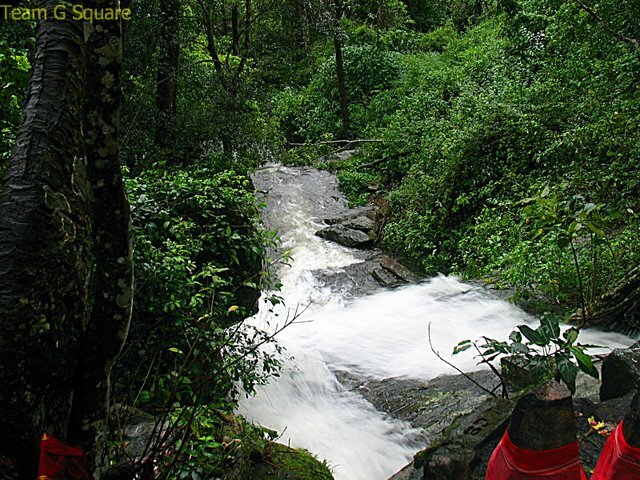 Brings back some great memories of Kolli Hills which looks fantastic in both the monsoon seasons. Is it during rainy season ? I love all the green green photos.They feel so fresh to the eye :)!! The rain makes everything more vivid - loved the pictures! Am sure it was even more beautiful in real. Beautiful. Loved the Waterfalls and the Temple. Also the fog and rainy weather makes the pics more fabulous.